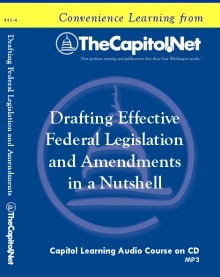 TheCapitol.Net encompasses a dynamic team of more than 150 faculty members and authors, all of whom are independent subject matter experts and veterans in their fields who know how Washington and Congress workTM. 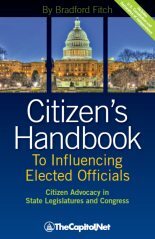 Faculty and authors include senior government executives, former members of Congress, Hill and agency staff, editors and journalists, lobbyists, lawyers, nonprofit executives, and scholars. We have worked with hundreds of clients across the country to develop and produce a wide variety of custom, on-site training programs. All courses, seminars, and workshops can be tailored to align with your organization’s educational objectives and presented on-site at your location. 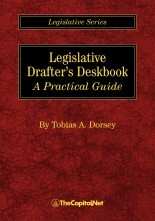 TheCapitol.Net is on the GSA Schedule, 874-4, for custom on-site training. GSA Contract GS02F0192X. 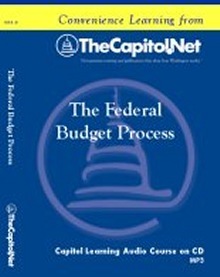 Seminars and workshops discuss the legislative and budget process, congressional operations, public and foreign policy development, advocacy and media training, business etiquette, writing, and our Capitol Hill Workshop. All of our courses include course materials and evaluations. All of our courses are accredited for CEUs by George Mason University. Courses range from two hours to five days, and our Capitol Learning Audio Courses between 1/2 hour and 2 hours in duration. 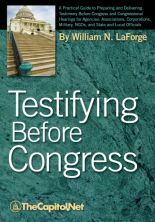 Topics include the legislative and federal budget process, congressional operations, best practices for congressional testimony, research, writing, advocacy and media training. 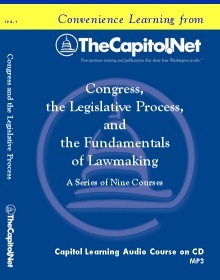 Our most popular courses include the Congressional Operations Briefing - Capitol Hill Workshop, Congressional Dynamics and the Legislative Process, and Writing for Government and Business: Critical Thinking and Writing. All of our courses can be customized and delivered on-site at your Headquarters, office or conference hotel. We can present any of our courses, seminars or workshops--or any combination of topics--at any location and tailor each to meet your educational objectives. All of our custom courses are taught by independent subject-matter experts and include written agendas and course materials. 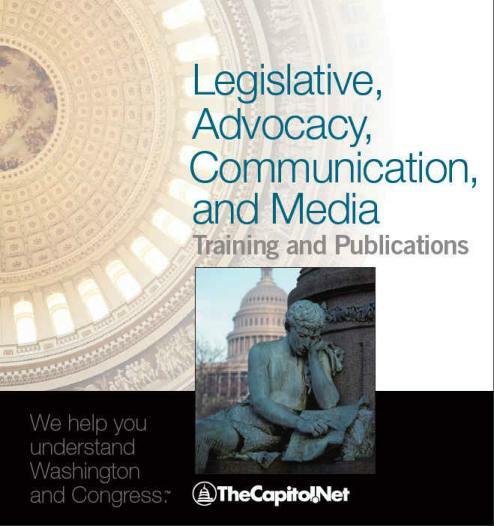 When you or your staff can't travel to Washington, DC to attend a live course, you can still learn from our expert faculty by listening to our Capitol Learning Audio Courses. We can customize a telephone seminar or audio course to suit your needs. 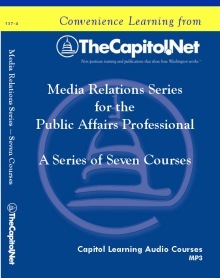 We can also customize existing Capitol Learning Audio Courses with your logo. Our current catalog can be downloaded or mailed to you. 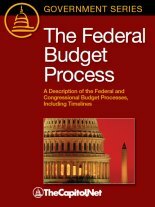 TheCapitol.Net has more than 2,000 clients representing Congressional offices, federal and state agencies, military branches, news media and NGOs nationwide. See what our clients say about our training. We publish hands-on books for practitioners, written by subject matter experts. 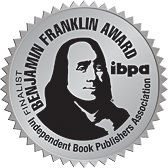 Five of our authored titles have been finalists in the Benjamin Franklin Awards, and two of those were winners. Our publications can be customized for your organization. Our Visiting Washington, DC pages have links to all the major places to see and visit in Washington. Plus some you may have not heard of. See also our Faculty Favorites. 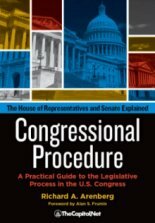 We have many valuable FREE resources on our site, including Research Links and Reference Tools and a series of FAQs About Congress and Washington, DC, such as How do I get a Presidential Greeting? and How do I get a flag that has flown over the Capitol? Please see our email notice before sending us email. We do not provide free research, and we believe that all students should write their own papers on topics they have chosen or been assigned by their teachers. 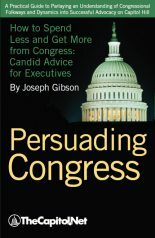 We will not pass along any messages to any member of Congress - one of the many great things about living in the United States is that we, and you, can contact our government representatives directly, with no interference from third parties; see our FAQ, "How to Contact Congress." Remember, communication that is courteous and civil is far more effective than communication containing insults and threats. 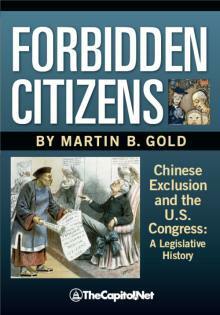 And, although some people do not believe it, elected members of Congress DO listen to their constituents. Please see information at the bottom of this page for our EIN/TIN and links to various IRS forms. Our preferred methods of payment are checks and EFT/ACH. More information about other methods of payment we accept can be found on our Payment, Cancellation and Substitution Policy page. 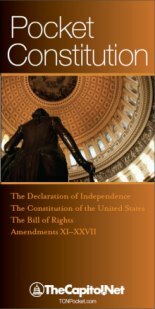 TheCapitol.Net is a non-partisan firm and the opinions of its faculty, authors, clients, and of the owners and operators of its vendors are their own and do not represent those of TheCapitol.Net. For faculty and authors: please send us an IRS Form W9 (instructions here and related info here) so we can pay you. See testimonials about our courses. 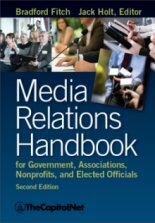 Our previous and current faculty and authors include senior government executives, former Congressional members, Hill and agency staff, editors and journalists, lobbyists, lawyers, nonprofit executives and scholars. 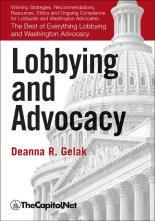 Our faculty's professional associations include the academy, media, law and lobbying firms, and government agencies.